Today’s project was Cherry Clippies, inspired by this pin of a formerly listed Etsy item. 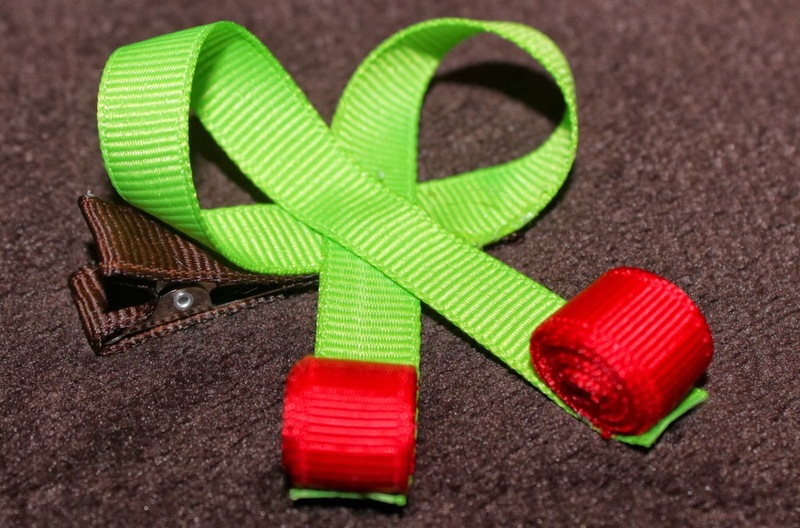 To make it you need a hot glue gun, covered hair clip, 3/8″ green grosgrain ribbon and 3/8″ red grosgrain ribbon. 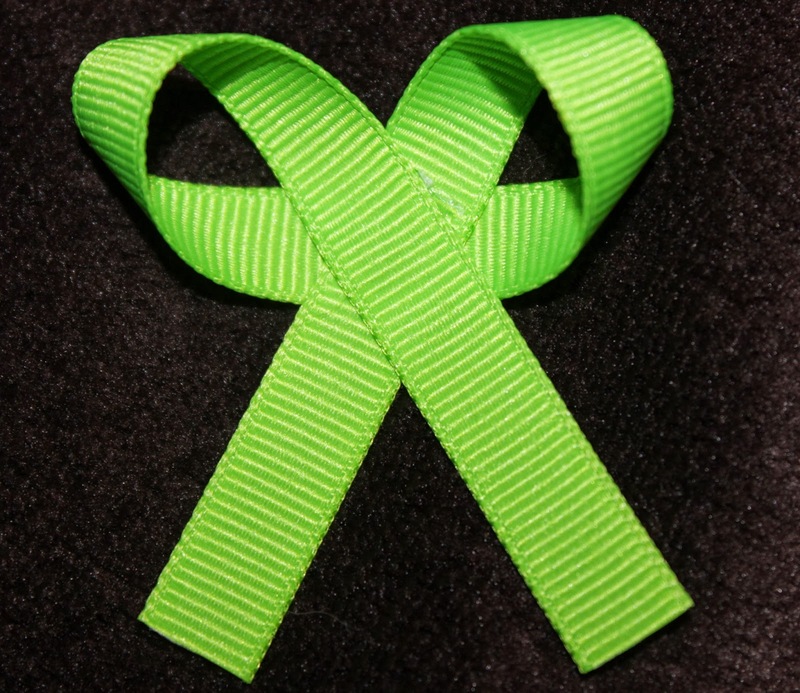 Take about 8″ of the green grosgrain ribbon and bring both ends up and over the center, letting the tails dangle down. Hot glue the ribbon to its center to keep it in place. Make two 10″ rolls with the red grosgrain. Hot glue the end to the roll. 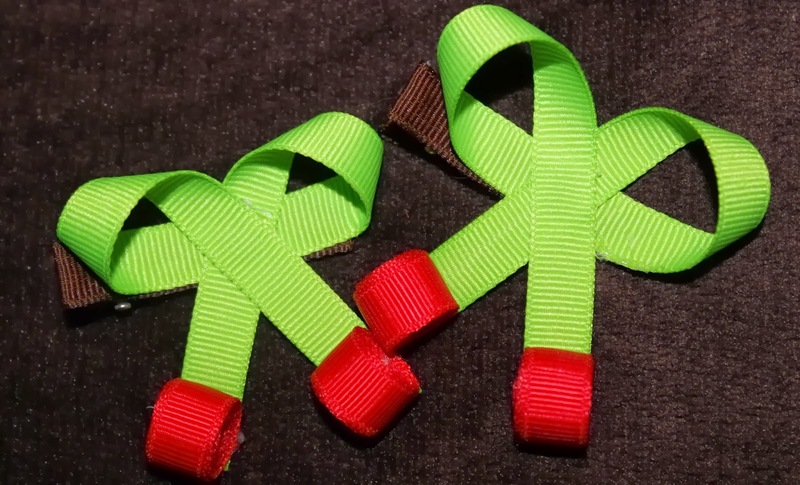 Hot glue the red rolls to the green ribbon ends, then glue the entire cherry piece onto your covered hair clip. Tomorrow’s project is one I’ve actually been so intimidated about doing that I’ve let it sit nearly three months untouched… Resin Jewelry!